Rey Soto-Lopez said when he was in prison, he felt berated with a constant refrain. But that’s not who he wanted to be. When he was convicted of second degree murder in 2001, he was thrown into a correctional system that, in his opinion, wasn’t focused on helping people prepare to reenter the community. Soto-Lopez said even just waking up wearing a yellow jumpsuit constantly sent the message that he would never be trustworthy. Soto-Lopez knew he didn’t want to leave prison as the same person who entered. His old way of thinking wouldn’t solve any of his problems. But how do you do that in prison, when everything seems to tell you that you can’t change? Soto-Lopez found those few people who told him something different. With that support, he started a decade-long process of taking classes like anger management, parenting, and understanding victim impact. Classes focused on behavior and attitude are offered at most correctional centers in the state, but they aren’t mandatory. 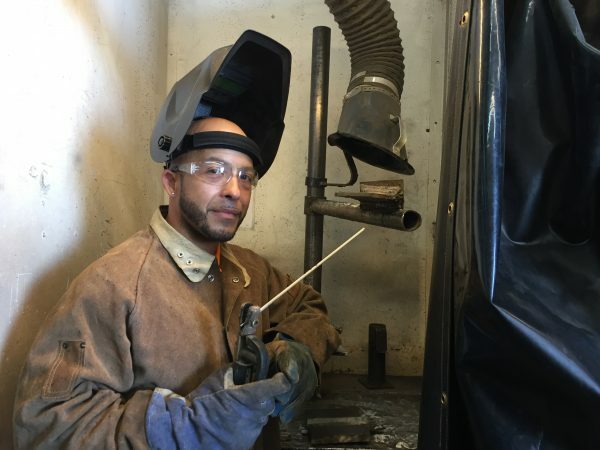 Research shows the classes can be effective and change how people think – and they reduce recidivism by about 25 percent, if they are taught by well-trained teachers. The most effective programs focus on anger management and problem-solving. But Monica Hinders, who manages the education programs at Spring Creek Correctional Center in Seward, said inmates don’t always sign up for them with the intent to change. She says despite that, even just the basic social skills a person learns in a classroom, like listening and speaking respectfully during structured conversations can make a positive difference. Participants have to analyze real world situations together and reflect on how they would react and why. Some classes, like ones on parenting, also focus on improving the participants’ ideas of self worth. And for some people, like Soto-Lopez, those small wins add up. Using the social skills and self analysis tools he learned by taking different types of programs, he was eventually able to take vocational classes, too. Now, he’s been out of prison for three months, lives in a halfway house, and is holding down a job with the Ironworkers Union in Anchorage. 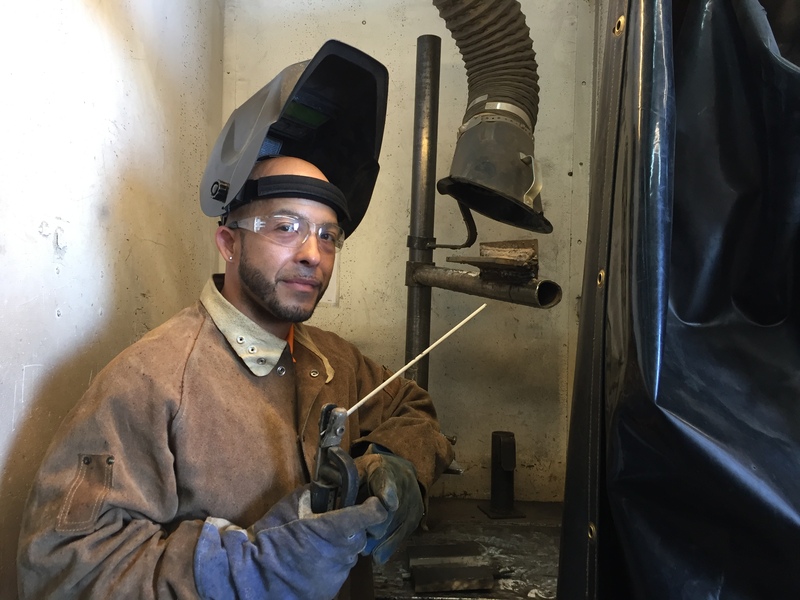 Soto Lopez practices his new skills in a welding booth at the Union’s office, melting a thin metal rod against two plates to attach them together. He’s preparing for his next certificate exam. He knows that now, because he sees the world differently, he’s getting a second shot at life on the outside.